We will pick you up from hotel by private modern vehicle then drive to Sharm Airport and fly to Cairo. Arrive in Cairo airport then transfer to Sakkara, ancient Egypt widest necropolis where the world renowned Step pyramid of king Zoser is situated, sometimes described as the Step tomb due to the rectangular base, you will wander number of mastabas and ruins of other pyramids. Move onto Memphis open air museum situated at the same site of ancient Egypt former capital, there you will wander the colossal statue of Ramses II. 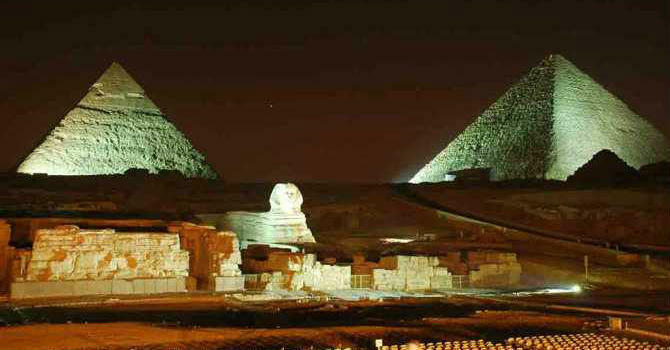 Continue to Giza Plateau to uncover one of the 7 wonders of ancient world, the fabulous Pyramids of Cheops, Chephren & Mykerinus then stop at the Sphinx with king Cheferen head and lion body, proceed to visit the nearby Valley Temple. Then transfer to Cairo hotel and overnight. Pick up early in the morning shortly after breakfast with private modern vehicle and an expert Egyptologist guide to explore the Egyptian Museum, Tutankhamun priceless collection and more than other 120,000 objects are on display. Continue to the Castle of Saladdin and Mohamed Ali Alabaster Mosque which is considered one of Old Cairo top attractions, move to visit Coptic Cairo churches around the fortress of Babylon, uncover the Hanging Church, Abu Serga church and Ben Ezra Synagogue. End the day bargaining in Khan El Khalili bazaar which is Egypt and Middle East oldest local market then transfer to Cairo Airport for flight back to Sharm El Sheikh and drive back to your hotel.